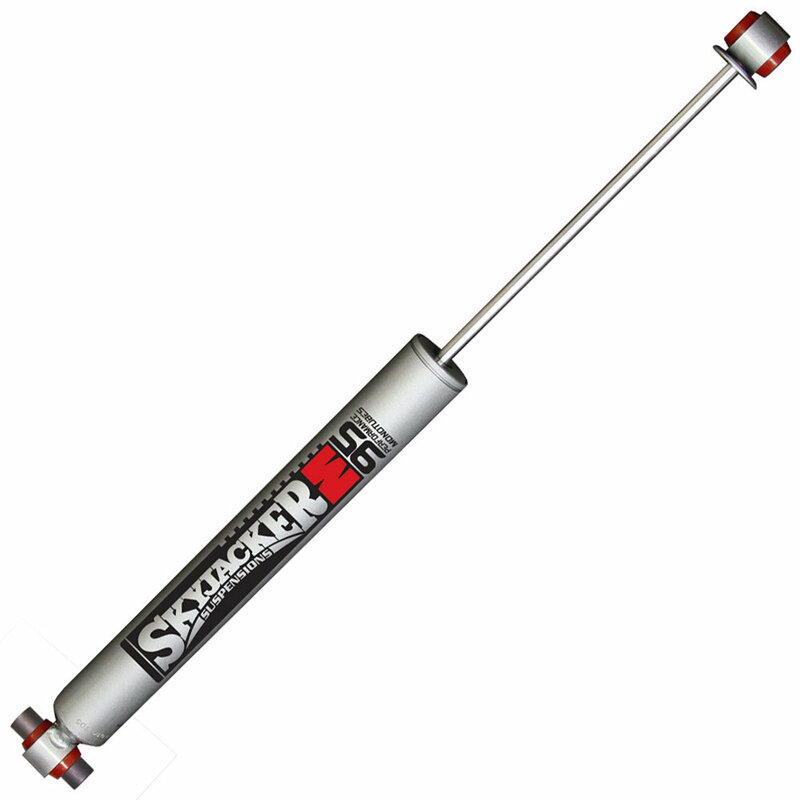 Skyjacker M95 Monotube Front Shocks are manufactured and custom-tuned to fit your Jeep Wrangler JL. The M95 will stand up to rougher terrain providing constant and consistent performance because they're charged with high-pressure nitrogen gas. Skyjacker has designed their shocks this way to prevent fade or lag. 180° directional mounting will make installation flexible to fit a variety of applications where needed. Other notable features include polished chrome piston rod and a large 46mm bore. Skyjacker shocks are length fitted to offer the maximum extension allowable for full articulation. High-Pressure Nitrogen Gas Charge offers strong and consistent performance over rough terrain. Custom-Tuned for your Jeep JL to ensures a perfect. Design Features include 180° directional mounting, polished chrome piston rod, and large 46mm bore.